Fill a glass with your favorite beverage; drink half of it, and then put it down and look at it carefully. What do you see? Is the glass half-full or is it half-empty? It is all a matter of perception. 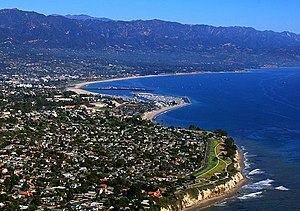 For six years in the 1990s, I worked two part-time jobs at a hospital in Santa Barbara, California. One job paid around $9.00/hour while the other, easier job required more training and paid $20.50/hour. Both jobs lacked full-time benefits. I loved my schedule because every week of the year had a different work schedule. I worked a variety of shifts around the clock and floated from department to department. And although I loved the variety, the payroll department made frequent errors in computing my salary. We received our paychecks every other Friday around 11:00 am. I enrolled in direct deposit so my check was only for my information. During one particular period, I had worked 58 hours and I was expecting a check in the amount of $900+. When I opened the envelope, I was shocked to see that my take-home pay was $3,900+. The gross amount of the check was $8,100+. That meant that slightly more than half had been deducted for Federal income tax, state income tax, Social Security, Medicare, State Disability Insurance, charitable deductions and other. I was incensed that so much was deducted, and I was elated at the amount of take-home pay, $3,000 more than I was expecting. I brought the error to the attention of payroll, but since it had been directly deposited, there was nothing they could do that day. On Monday, I wrote a check to the hospital to correct the error. I calculated that if I worked full-time at the $205.00/hour rate that they had used to miscalculate my salary instead of the correct rate of $20.50, in a year I would earn $400,000+. Even if deductions exceeded 50%, my annual take-home pay would be $175,000+. At that time working part-time, my net pay was around $25,000/annually. Would I have been happy with $175,000/year instead of $25,000? You’d better believe it. So it’s all a matter of perception. Of course, I would like take-home pay to be more and deductions less. Still it is much easier to make ends meet with $175,000 than it is with $25,000 and this occurred about 15 years ago. Economic times have only gotten more difficult.